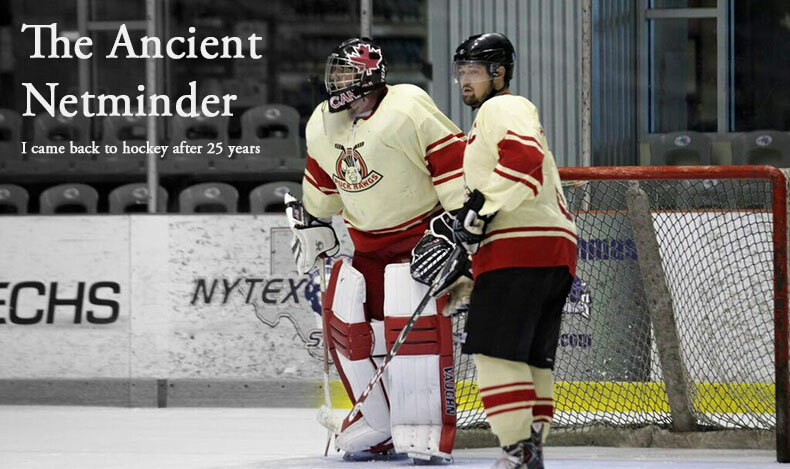 Three and a half years ago I re-booted my amateur hockey career by stepping onto the ice with 15 year old goalie gear and into an adult instructional league. I knew nobody who played hockey and I genuinely doubted I could ever play hockey again. I hadn't played in 25 years and I wasn't very good then. Slowly I became a goalie again. I spent a lot of time on the ice and I spent a lot of money buying gear. I got a lot of help too. I played on bad teams and then a few good ones as I rose from the instructional league to higher skilled divisions. 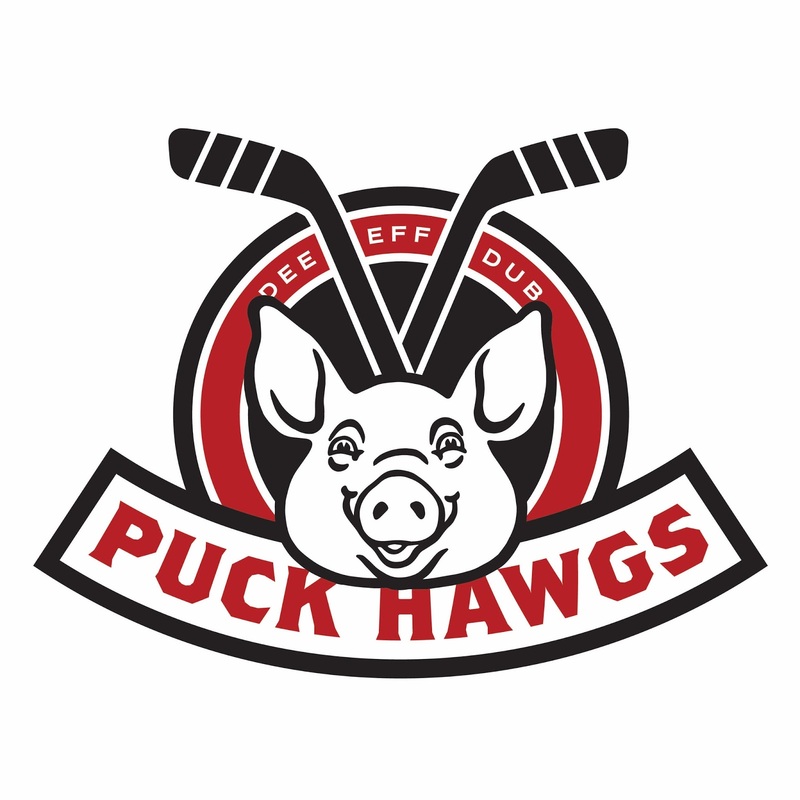 In 2015 I was lucky enough to gather up some of the great people I knew in hockey to create my own team- the Puck Hawgs. It was a tough thing to try to do. I wasn't sure of my standing in our small hockey community. Would enough players commit to a new team I was putting together? How would I feel if the team didn't come together? Thankfully we did take the ice as a team and it was one of the most exciting moments of my new hockey life. Before we began, I struggled deciding which division the Puck Hawgs should play and finally took the plunge into the Lower 'C' division despite feeling like we would have a better season if we played in the less skilled 'D' division. We did alright our first season and won the division championship the next. Soon enough, many of the players who struggled in Lower 'C' were ready to take on another challenge and in the fall of 2015 we decided to move up another division to Upper 'C'. Two more seasons went by and we came up just short of the division championship but dominated with an overall record of 12-3. 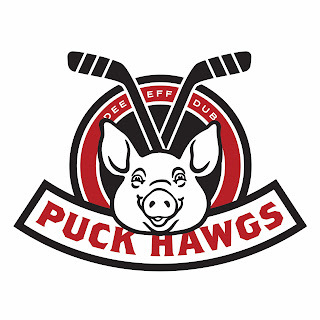 This summer, I got the news from the league that the Puck Hawgs had a choice; cut our top players or get moved up to the Lower 'B' division. I couldn't help but grin for awhile. As I reviewed the roster, many of the names were the same as the day we stepped onto the ice for the first time. Now we were moving to the second highest division in adult hockey. So many of these guys had worked to improve their game and were genuinely ready to play at a higher level and here I was going along for the ride. We have been lucky enough to bring a few new friends to the Hawgs as the seasons went along. We've also had a few who weren't able to stay with us- although most of those remain connected to our team and part of our hockey family. But at the heart of the team many of the same people who took a leap and joined a new team that probably wasn't ready for 'C' have pushed us along to join a much higher level of hockey and I couldn't be more thrilled for them... and me. Friday night is the start of the new season in 'B' and I'll skate over to my net and stand behind a group of friends who I've spent more time with than any others in recent years. I'll try to take a minute to look around and remember what it felt like stepping onto the ice for the first time three and half years ago and again for the first time with the Hawgs. It's been a hell of a ride and I can't wait to see what's next. Thank you to all who were and continue to be part of the Puck Hawgs.